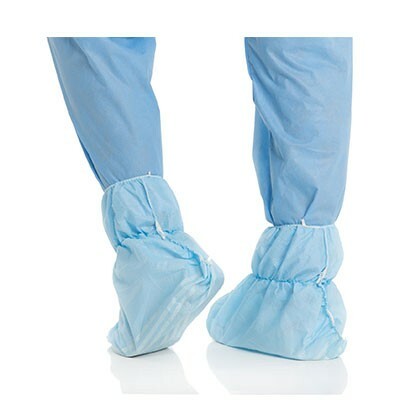 Halyard Ankle Guard Shoe Cover 69253 off over the ankle coverage. They have a protective 3-layer fabric as well as adhesive traction strips. Exposure anticipated: moderate fluid contamination with splashing or spraying above the shoe.